Maximum class size: 8 members. Schedule: All group classes run for 7 weeks. Classes run on Thursdays from 11:00 am to 12:30 pm. Other lesson options: Looking to arrange private lessons or a Level One instructors' course? Please email Christine Eades at snowschooldirector@skicousi.ca for more information. Save with friends! Get two other Skicousi members who have not previously taken skiing or snowboarding lessons to sign up for classes with us. 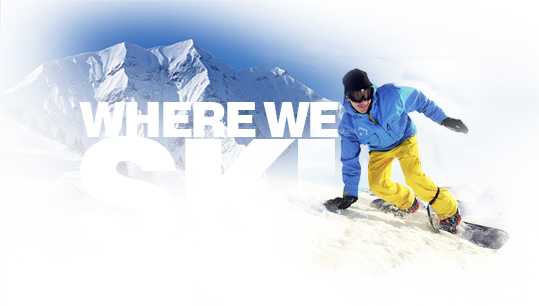 You will receive either a free private ski or snowboard lesson or $50 off your own lesson registration fee. *Please note: Any item marked with a red asterisk is required. Sorry, but these lessons are for Skicousi members only. No guests, please. Non-member applications for lessons will not be accepted. Any payments made by non-members will be refunded. Don't miss out! To join Skicousi or renew your membership, please click on this link to register. If you would like to take classes with a specific instructor, enter their name below. We can't guarantee any specific instructor's availability, but we will try to match you up if possible. If you would like to be in the same class as one or more other Skicousi members, enter their name(s) below. We can't guarantee to group you with your friends, but we will try to match you up if possible. Has your personal information changed? If yes, indicate the item that has changed. Make sure your email address is correct! Once you click Submit, the system will email you a complete copy of your application. If you don't see an email within a few minutes, check your spam filter or mail membership@skicousi.ca. What you're buying: One set of lessons.